What’s New in the Bear Basics Program? NEW! Bear Basics classes now available in Alaska, Yukon, and Northern BC! Contact us to schedule GBF Director, Shannon Donahue to speak at your school or event. 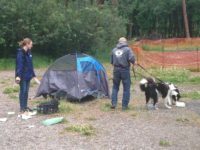 Shannon is based out of our northern office in Haines, Alaska, and travel expenses and some form of overnight accommodation will be needed for programs outside of Haines. 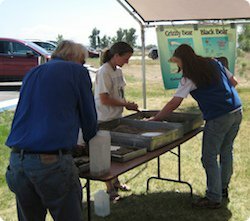 Great Bear provides free Bear Basics programs to K-12 schools and other groups in western Montana, holds the annual Bear Honoring each spring in Missoula and Pablo, Montana, publishes the quarterly newsletter Bear News, and provides free email updates on bear issues via Bear Email. Check the tabs above for more information on each. Bear Basics is our most important educational and outreach program. It’s an interactive and engaging presentation that educates thousands of Montana students on the natural history, behavior, and ecology of large North American predators. We focus primarily on black, grizzly, and polar bears but have expanded our circle to include two other notable natives: wolves and mountain lions. Living with top-level predators is a reality in Montana and we feel strongly that learning about these animals is an essential component for kids growing up. Even today, damaging misinformation is promoted about our native predators and we have taken on the challenge of dispelling these myths. Read more about Bear Basics at the tab above, recent changes in the classes, and schedule a program, too. The Bear Basics program is an interactive and engaging presentation that educates thousands of Montana students on the natural history, behavior, and ecology of large North American predators. We focus primarily on black, grizzly, and polar bears but have expanded our circle to include two other notable natives: wolves and mountain lions. Living with top-level predators is a reality in Montana and we feel strongly that learning about these animals is an essential component for kids growing up. Even today, damaging misinformation exists surrounding our native predators and we have taken on the challenge of dispelling these myths. NEW! Bear Basics is now available in Alaska, Yukon, and Northern BC, May through October! Contact us to schedule GBF Director, Shannon Donahue to speak at your school or event. Shannon is based out of Haines, Alaska in the summer months (May through October), and travel expenses and some form of overnight accommodation will be needed for programs outside of Haines. We do not charge a presentation fee to schools, allowing us to reach a diverse array of communities regardless of school budgets. We will, however, require travel expenses and some form of overnight accommodation for programs delivered outside of our local area. We screen and have bear biologists review the extensive amount of information that currently exists on bears and predators to remove the inaccurate or misleading information. As a result, we leave teachers with high quality, factual curricula and educational packets that they can use with their classes. Teachers have expressed to us how much they appreciate our providing a guest speaker to present our material and to interact one on one with the students. What do we provide in a program? Amazing adaptations: An in-depth discovery of the adaptations that enable bears and predators to survive. In response to an overwhelming interest in the Bear Basics program, we have expanded our program to include additional program options, teacher resources, partnerships with other groups working on similar issues, and avenues for schools and classrooms to become more involved in bear conservation. We are now offering the Bear Basics Field Programs. The field programs take students out of the classroom and into a local park, schoolyard or trailhead. Students learn how to identify different carnivore signs, how to properly set up a campsite in bear country, how to avoid a negative encounter with bears and mountain lions, and how different carnivores survive in their natural habitats. Also we have embarked upon a project to evaluate children’s books and videos on bears with the eventual intent of distributing for free the highest quality materials into classrooms. There is an overwhelming amount of information, both positive and negative, available to teachers and we would like to act as a filter to identify the best resources. We are confident that the book and video project will ensure that the information on bears being taught to our children is both factual and appropriate. Bear Basics is now available in Southeast Alaska! You can call 406-829-9378 to schedule a Bear Basics program in Montana, Alaska, or Yukon, or email us via the form with a requested time and date and we will contact you with confirmation or if we need more information. Programs are usually an hour long, but Great Bear can also set up tables for longer events and provide educational programs as part of larger festivals and educational gatherings. The Great Bear Foundation’s Bears of the World curriculum, developed by education specialist, Chris Olsen, examines these questions and more! 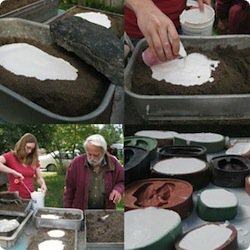 This project offers resources to teachers and community members interested in learning about or teaching others about bears and their habitats. The Bears of the World curriculum contains units on each of the bear species of the world: Grizzly Bear, American Black Bear, Polar Bear, Sloth Bear, Asiatic Black Bear, Spectacled Bear, Sun Bear, and Giant Panda Bear. Each unit contains a lesson focused on population and distribution, a scientific concept or activity, a writing activity, and a cooking activity. Students will learn about adaptation with spectacled bears, about biomes with Asiatic black bears, or about climate change with polar bears. With hands-on cooking activities, students learn more about the diets of the various bear species, and prepare food dishes using only foods eaten by a particular bear. Recipes are provided in each lesson. A sample lesson is available for download here: Bears in the Media Lesson (PDF). The Bears in the Media lesson has students research how bears and other wildlife are commonly presented in television, movies, magazines, and other popular media and prepare a presentation for the class. If you are interested in receiving the whole curriculum, please contact us. Download the Introduction and Table of Contents to see what’s included in the curriculum here: Bears of the World Intro and Table of Contents. The Great Bear Foundation partners with Caribou Crossing to develop high quality media projects that promote conservation, educate about the natural world, and further our mission to conserve the eight bear species and their habitats worldwide. We are developing a project in partnership with Wind River Bear Institute to shine a light on effective partnerships that promote coexistence with wildlife by educating people and animals in order to prevent human-bear conflict. 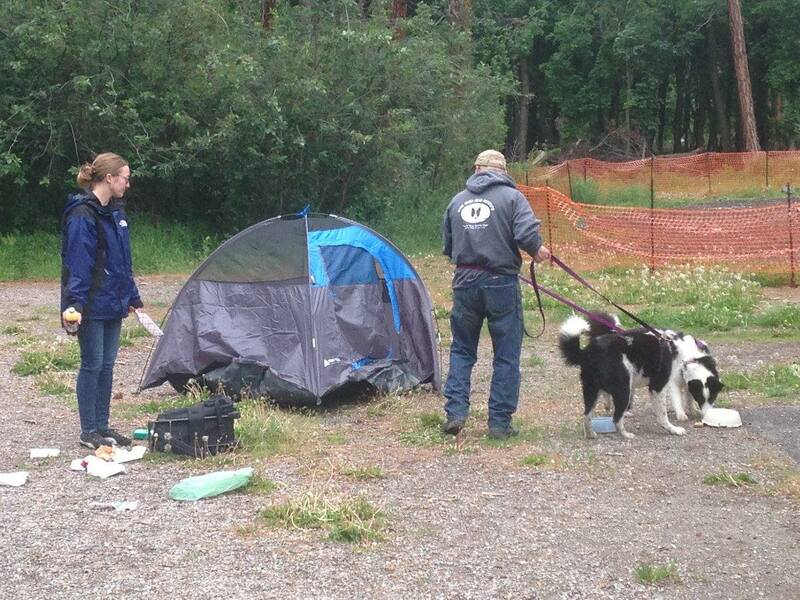 Wind River Bear Institute’s “Bear Shepherding” program utilizes highly trained Karelian Bear Dogs and their handlers to teach bears human boundaries, and to educate people about preventing human-bear conflict by eliminating bear attractants. The Great Bear Foundation is committed to preventing human-bear conflict to ensure that humans and bears can thrive together on a healthy landscape. To specify where your donation should go, you can enter a note at checkout. The Great Bear Foundation and Caribou Crossing released our first collaborative film, Walking Bear Comes Home: the life & work of Chuck Jonkel in 2017. 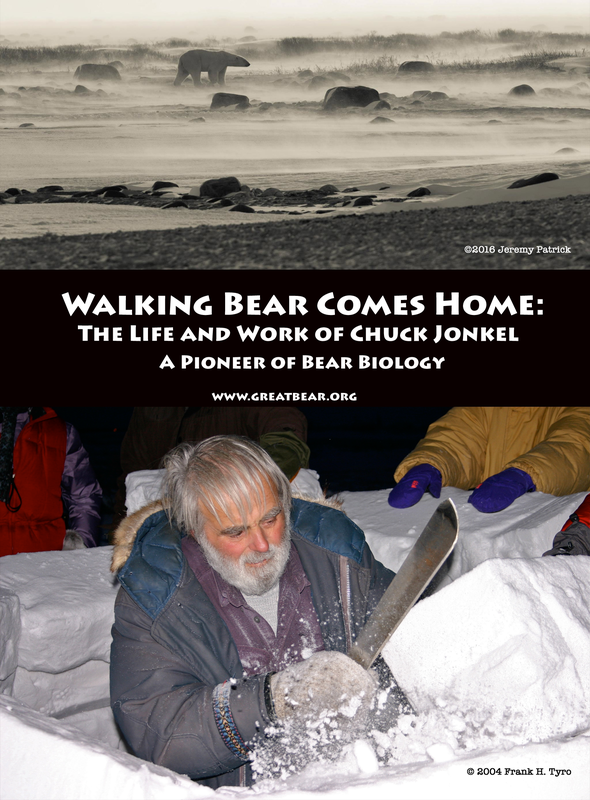 Using archival film footage of Jonkel’s polar bear work in the Arctic and interviews with Jonkel, his friends, family and colleagues, the film examines the life of the Great Bear Foundation’s co-founder, and his contributions to wildlife biology, conservation, media, and the communities where he lived and worked. 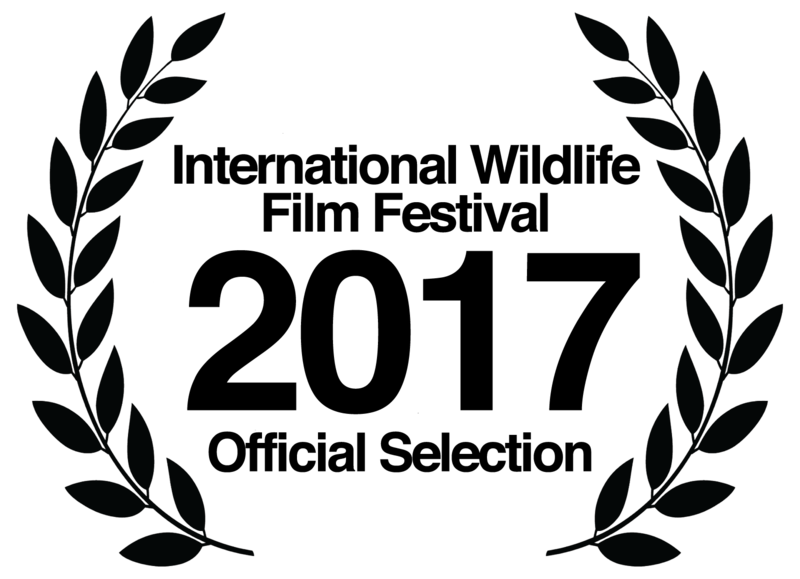 Walking Bear Comes Home premiered at the 30th International Wildlife Film Festival in Missoula, Montana April 20, 2017 to sold out screenings (three additional screenings were added that night due to high demand), and has screened to standing room only audiences in the US and Canada. 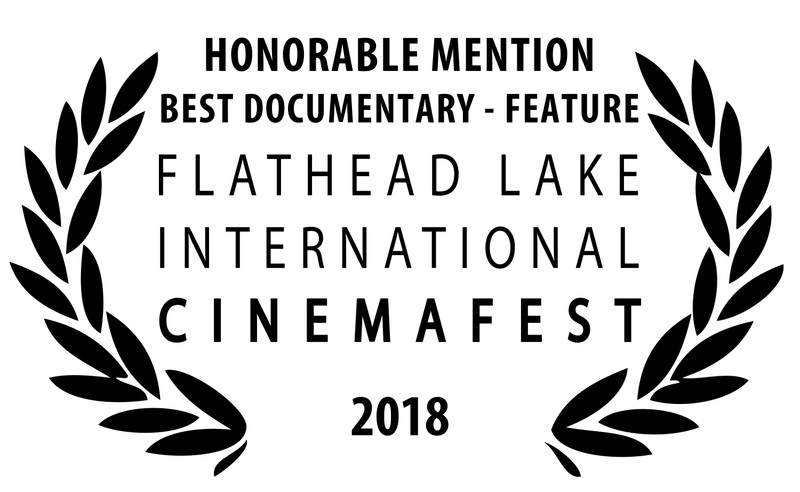 Walking Bear Comes Home received an Honorable Mention for Best Documentary – Feature at Flathead Lake International Cinemafest in January, 2018. Contact us to set up a screening in your community. One of the filmmakers may be available for Q&A. Public performance rights can be purchased at our online shop. Walking Bear Comes Home was made possible by funding from Humanities Montana, the Cinnabar Foundation, and numerous individual donations. Bear Email is a free email service (one to two emails a month) alerting members to important current news items concerning bears and bear habitat, upcoming field courses and other Great Bear Foundation happenings. You don’t need to be a member of Great Bear Foundation to subscribe to Bear Email. Just fill out your name and email below and send, and you will be subscribed to Bear Email.